Introducing the Squirrlin’ Around cozy! This cozy is reversible, adjustable and is made using 100% cotton flannel and 100% cotton fabric. 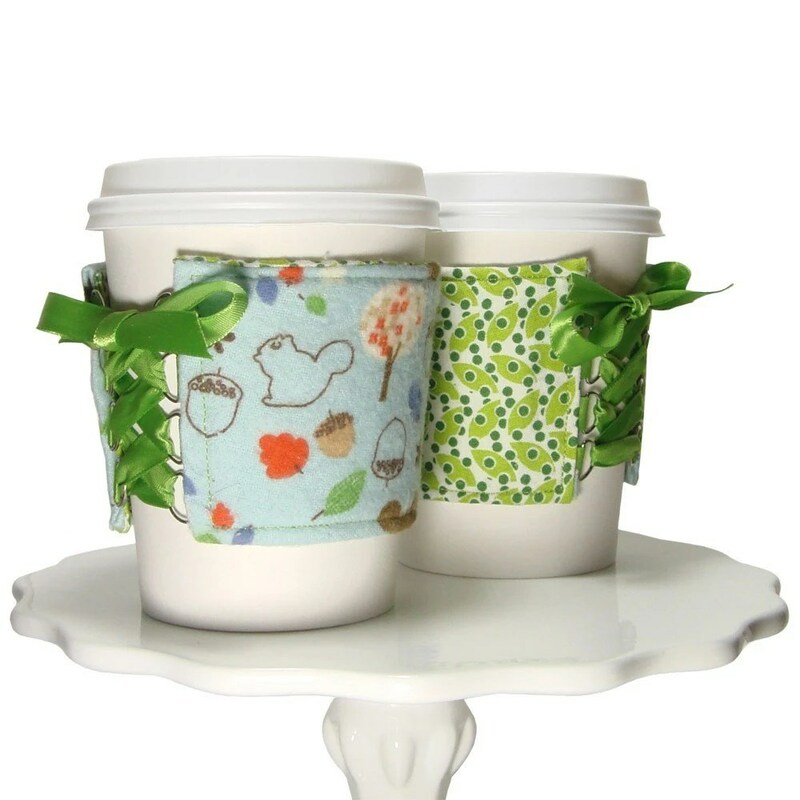 This cute cozy is accented with a green ribbon. 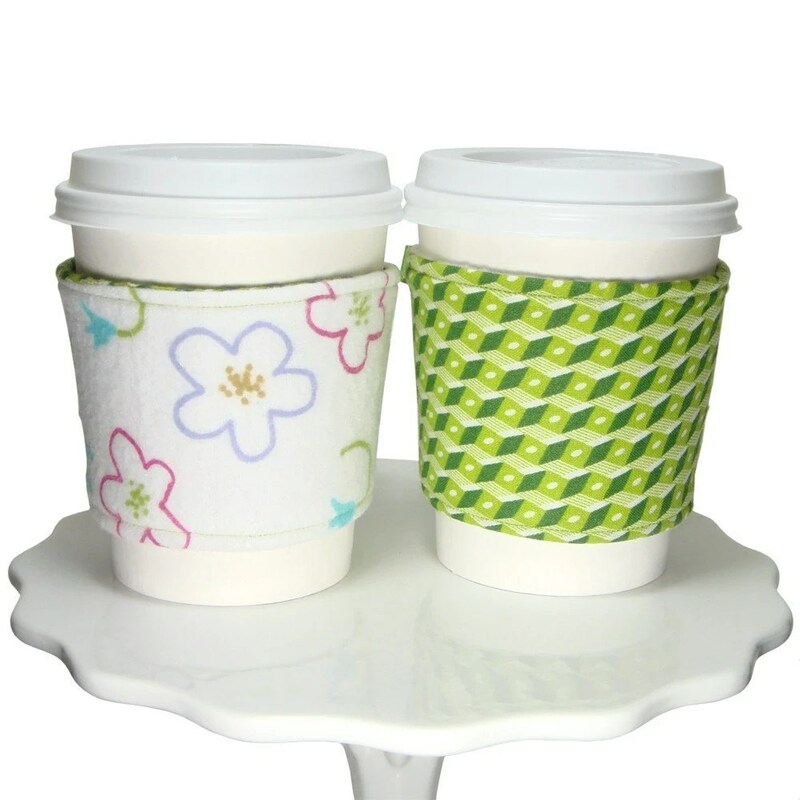 This spunky cozy is a great compliment to any drink you desire, whether it’s hot or cold. This cozy is available through our online shop, The Cozy Corset Cuff. Introducing the Playful Garden Cozy! This cozy is made from 100% cotton flannel fabric and 100% cotton fabric and has a pretty green ribbon. There is also a matching cozy called “Playful Garden II“. Introducing our newest addition to The Cozy Corset Cuff line, the Retro Flower Cozy! 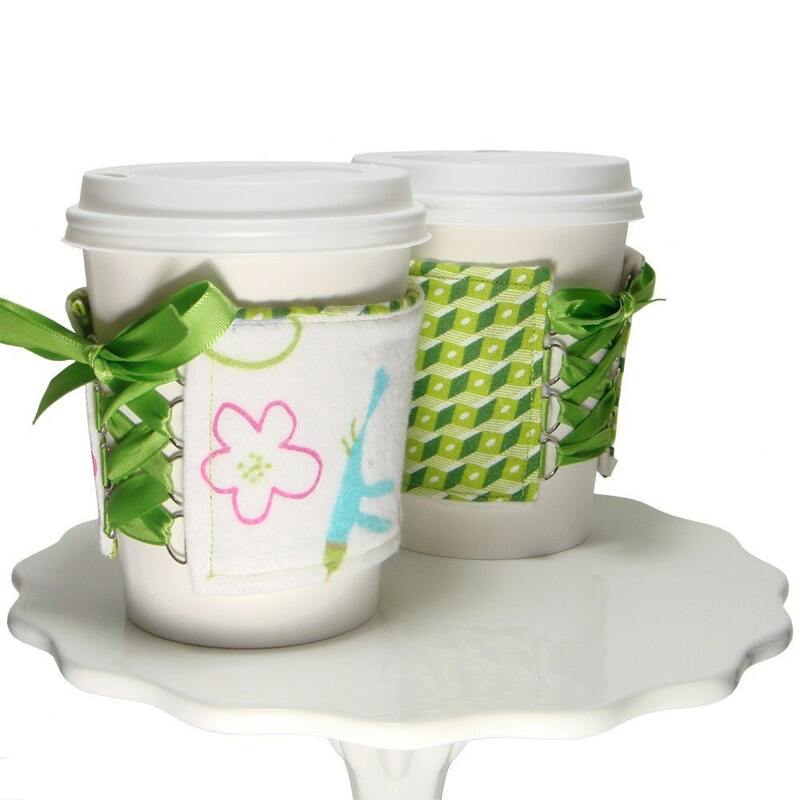 This cozy is reversible, made using brushed flannel fabric and is accent with a lovely stain green ribbon. 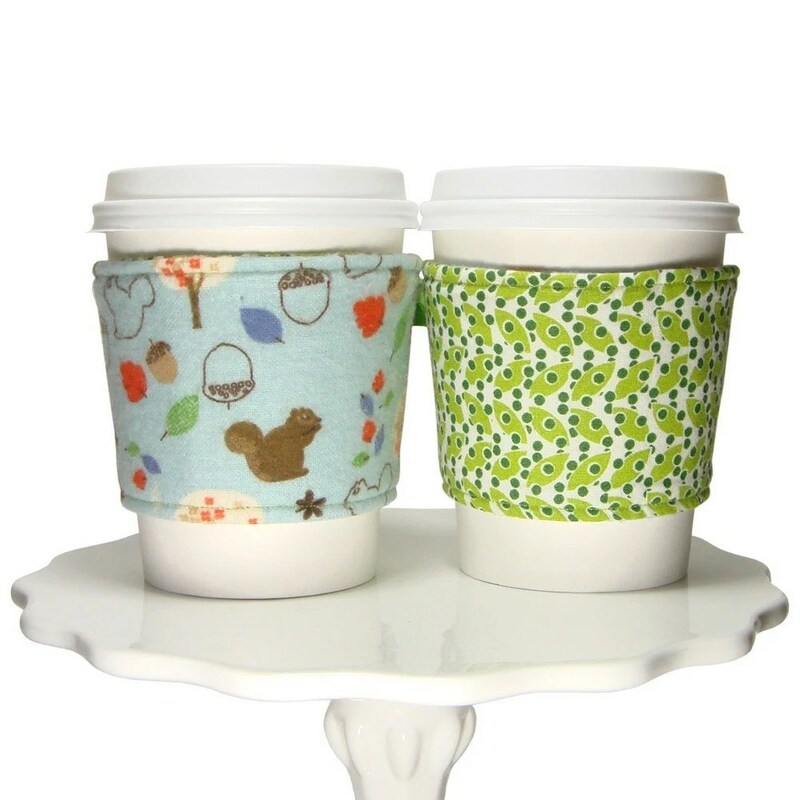 The fuzzy flannel fabric makes any hot drink even cozier! It’s a great compliment to any drink you desire. You can purchase your own cozy on our website The Cozy Corset Cuff.